As a young lad in the 1950s, I remember visiting the rifle range with my father, Alfred Grossmith, who was a member of the Imperial Rifle Club. He had previously been a member of Brighton Corporation Waterworks Rifle Club. 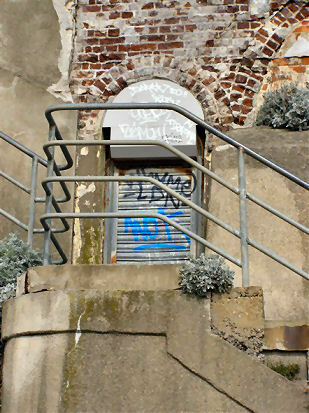 The rifle range was located in one of the archways under Marine Parade and was accessed via an entrance door from the elevated terrace of Madeira Drive. During a recent visit to Brighton seafront I was able to find the original entrance door to the range, now shuttered (see right). 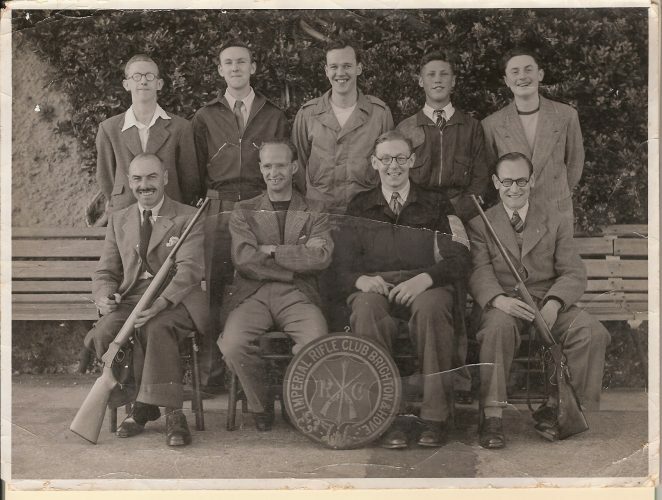 The photograph below probably taken in the 1950s, shows members of the rifle club, my father is in the front row on the extreme right. Why is this place not still operational? Hi Peter, thats my dad Ken Wallage in the front row second left. I have the same photo. I don’t know if there was any special reason the pic was taken – maybe they had won something. Are there any club archives?